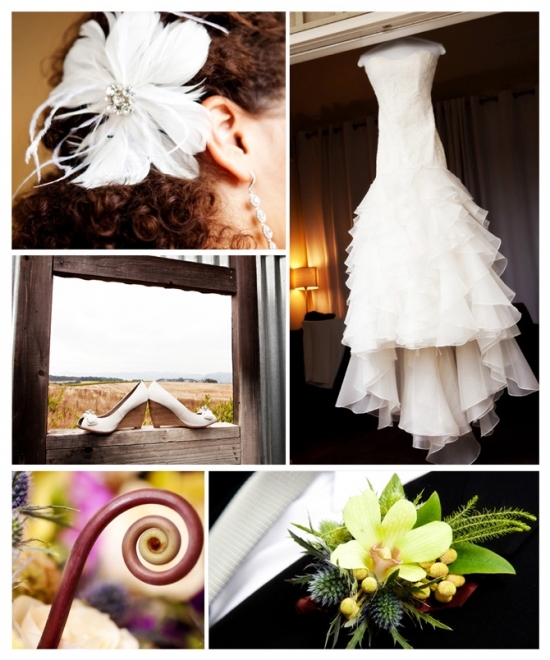 The Carneros Inn is a truly amazing venue; from your engagement to your wedding or even as a location to spend your honeymoon, this four star resort offers everything a couple needs to plan a perfect wedding celebration. The beauty of a full service resort like the Carneros Inn is that they let you focus on the details, allowing you to have as magical of an event as you imagined. The service at the Carneros Inn is impeccable - no need to sweat the small stuff, it will all be taken care of. 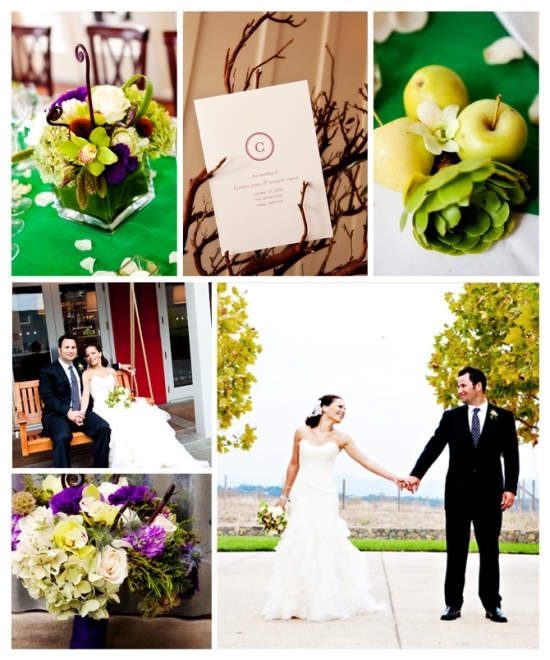 We love this inspired and sophisticated wedding's bold use of color. Tiffany Fosnight has done a wonderful job of sharing the details and emotions of this celebration. The amazing assortment of flowers, orchids, fiddlehead fern, hydrangea, roses, and thistle create truly unique floral arrangements, and the use of succulents and manzanita help to tie in the natural setting that the resort is so well known for. I love the infusion of the vibrant green in the linen; it creates a canvass for the rest of the design and creates emphasis on the colorful floral arrangements. If you are having a hard time thinking about the details, let your designer or florist know one element, one flower, one color, or one texture and let them run with it. You would be amazed at where you can find inspiration. This design transcends seasons - it would really work any time of the year. If you are having a late fall or winter wedding, consider a similar design but incorporate a linen choice with a darker base.